Two of the largest automated ticketing vendors on the planet have substantial roots within the State of Arizona. Combined, these corporations employ many Arizonans and generate tens of thousands of dollars in revenue each day. And there’s never been a better time to finally say goodbye. Photo ticketing schemes extract enormous amounts of cash from the local economies in which they pretend to serve. Instead of this money staying within our community, Redflex and American Traffic Solutions virtually launder these stolen funds through pseudo-local offices… and back to their respective faceless investment banks. In one corner, American Traffic Solutions sounds downright patriotic in name. Their surveillance cameras even boast a sticker as being “Made in the USA.” Don’t let the smoke and mirrors fool you though: ATS is a pawn of the massively-corrupt investment firm and former bailout recipient Goldman Sachs. In the other corner, Redflex is being purchased by Macquarie Ltd and the Carlyle Group, two firms which are equally disinterested in the well-being of Arizonans. These faceless monsters only care about profits, and how every last dime can be extracted from their voiceless victims. Cities and towns are lured in by the prospect of “free money,” usually to the chipper reminder that such ticketing programs are “violator funded.” Contracts are haphazardly entered into, cameras go up, and the money starts to pour in. But as with any scam, there’s always a catch. Programs which start out profitable usually end up in the red, as is the case with the City of Mesa’s beleaguered relationship with ATS. Citizens revolt, avoid areas with overzealous enforcement, or simply grow savvy to methods to avoid detection. Unintended consequences include a population that has become savvy to avoiding process service, making a mockery of the supposed “rule of law.” Increases in yellow light timing can and have destroyed these profitable schemes, sometimes incurring the wrath of these money-sucking vampire vendors. Attempts to cancel contracts administratively are met with threats of lawsuits. 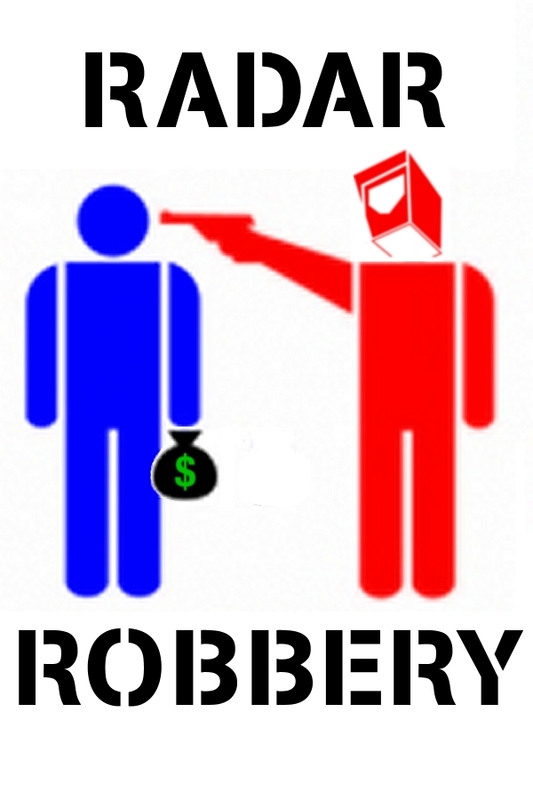 Cities actually forced to end their contracts due to citizen’s ballot initiatives have been sued by these vendors, proving that there truly is no honor among thieves once the honey pot runs dry. When Goldman Sachs dumped $70 million worth of mismanaged assets in 2006-2007, they were called “toxic.” Then Goldman conned its way into receiving $12.9 billion in TARP funds through AIG, while turning around and handing out $14 billion in executive bonuses. Now, it’s Arizona’s turn to drop two toxic “assets” once and for all: the physical presence of American Traffic Solutions and Redflex within the Grand Canyon State.